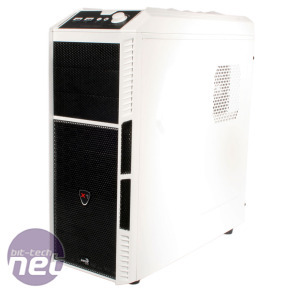 The US company Aerocool is little known on these shores, and other than a mediocre fan controller, we haven't had very much exposure to its products here at bit-tech. 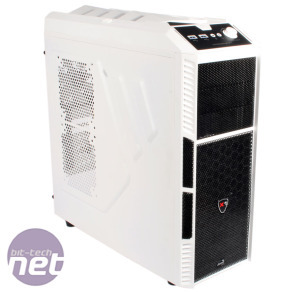 Its cases are boldly styled, to say the least, and appear to be geared towards l33t G4m3rz, with most of their cases featuring more plastic and lights than your average Essex nightclub. 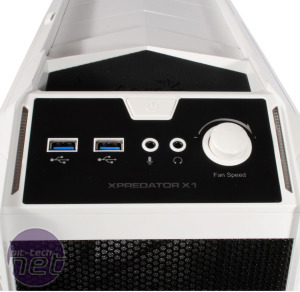 All jokes aside though, we're not ones to pre-judge, and the X-Predator X1 certainly looks tempting on paper as it's a sub-£50 ATX case with USB 3.0 support, a painted interior and fan control. Though that temptation may fade when you first lay eyes on the X1, aesthetically it's certainly not the worst of its kind we've come across. 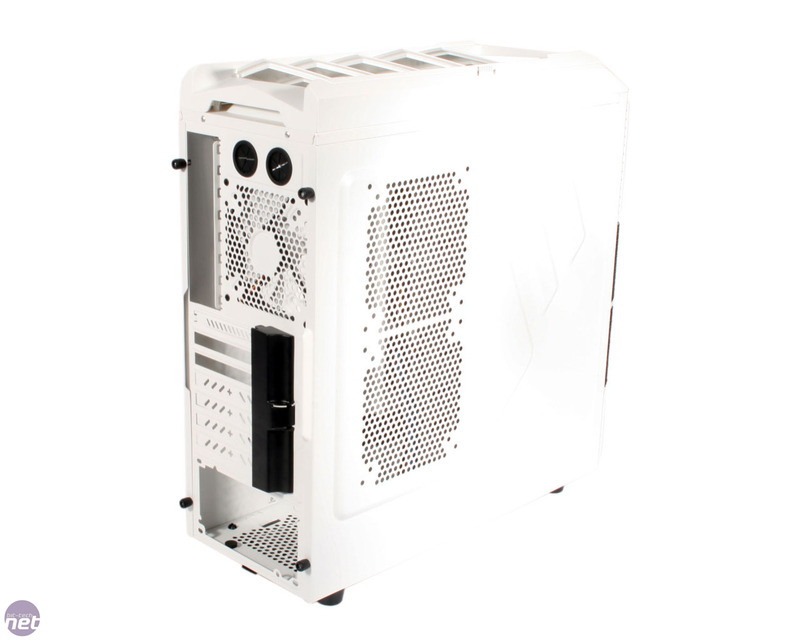 We felt the white exterior (other hilariously named colours are available) contrasted nicely with the black mesh on the front, and the lighting is thankfully a rather subtle affair, limited to the white LED-lit front 120mm fan and the dim blue and white glow of the front panel at the top. The low price of the X1 is definitely apparent upon examination of the roof and front panels, as the plastic and mesh feel very tacky. The roof also includes some plastic vents to “aid airflow”, which can be opened and closed with a slider, and these too feel very weak. Another minor niggle is to do with the case feet which are also plastic, when we would have much preferred them to be rubber. 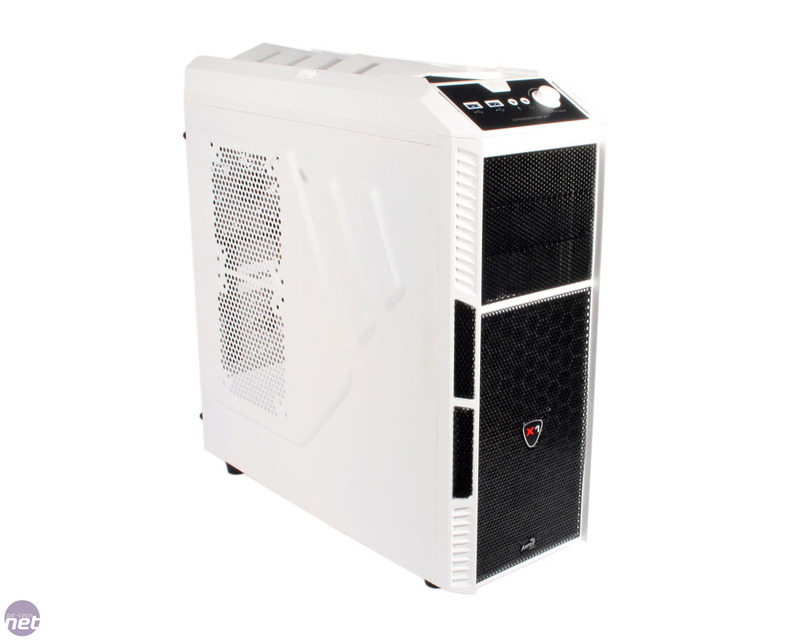 However, build quality elsewhere on the outside is certainly respectable, as the side panels and the chassis itself feel sturdy. 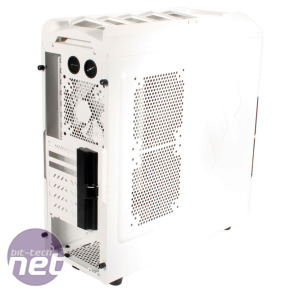 The front panel is all but entirely covered in black metal mesh, and fortunately Aerocool has opted to attach a dust filtering material to these, although we found it to be pretty flimsy. In particular the bits on the empty drive bay covers were peeling away from the mesh before we'd even touched them. 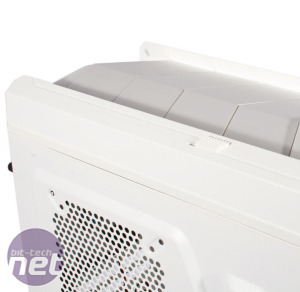 The front panel (actually part of the roof panel) is equipped well enough for a case at this price and also includes the variable speed fan controller that supports up to 25 watts, although there's oddly no reset switch anywhere. As standard the X1 comes equipped with just two 120mm fans, the front intake and the rear exhaust, although there's plenty of room for expansion. 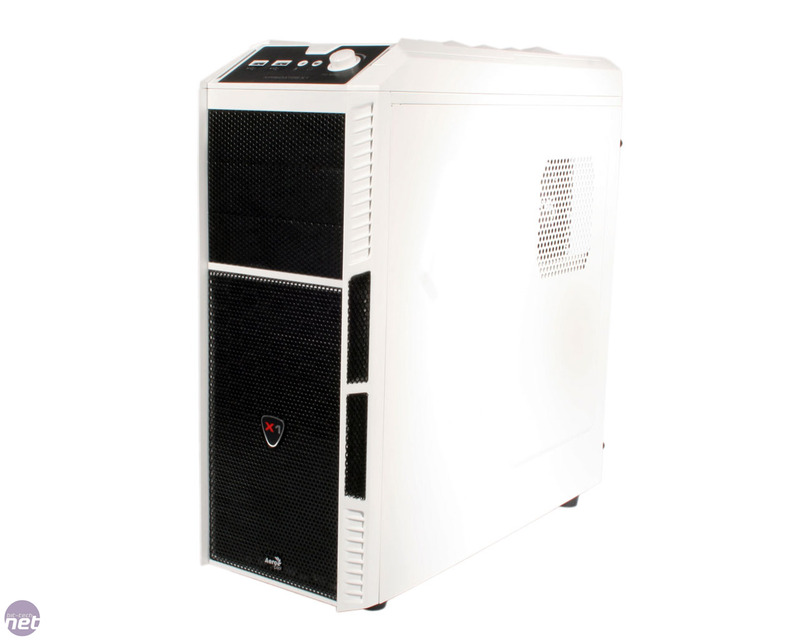 There's room for two more 120mm fans behind the meshed front section, and space for another on the floor of the case too. 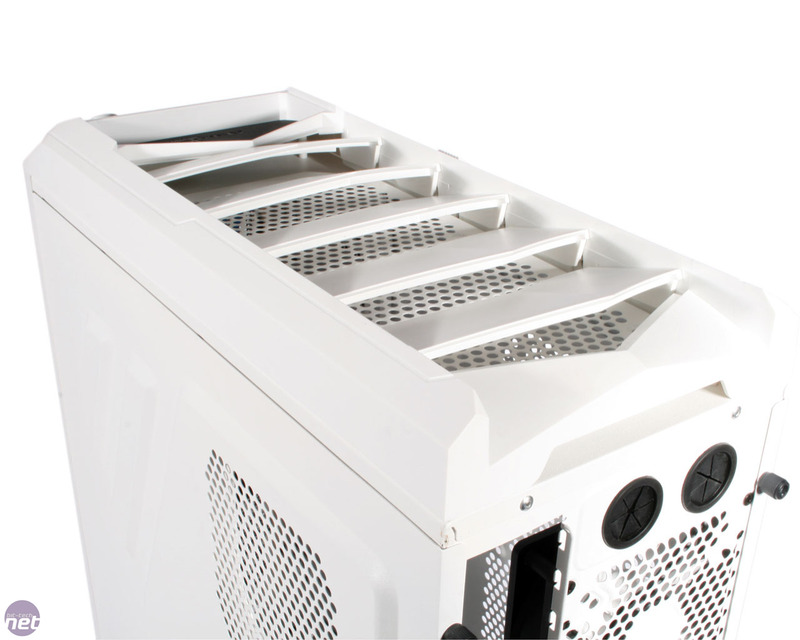 The roof and left side panels both have another two fan mounts each, every one of which can house 120mm fans, or in the case of the side panel 140mm fans. 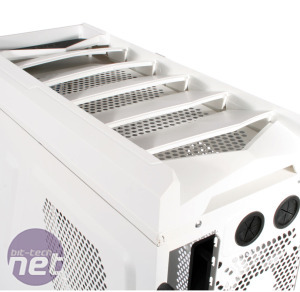 Although there isn't enough room in the roof for even a half height radiator with fans, two holes on the rear covered by rubber grommets ensure that external water-cooling is an option. 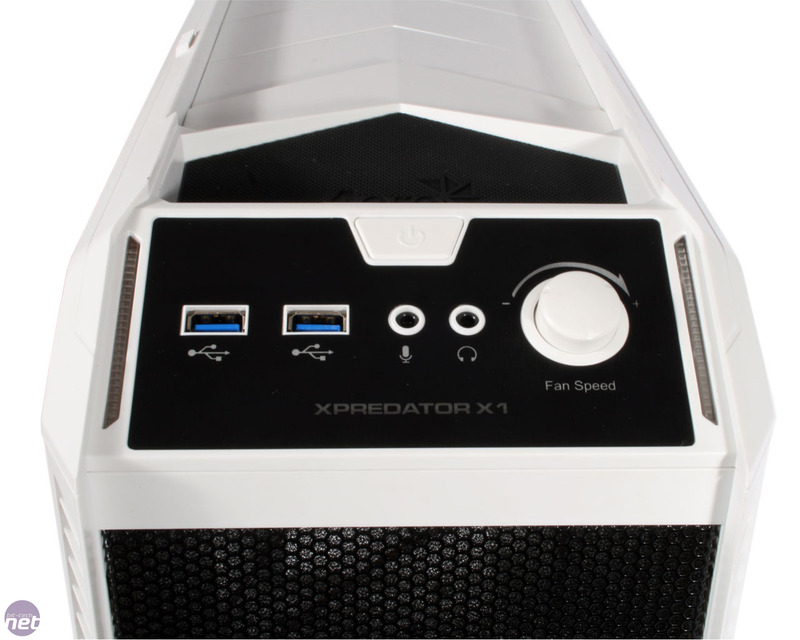 We shudder to think what the effect on our ears would be if each available fan mount was used, but having the options there ensures users have a high degree of flexibility for air cooling setups with the X1, which is no bad thing. 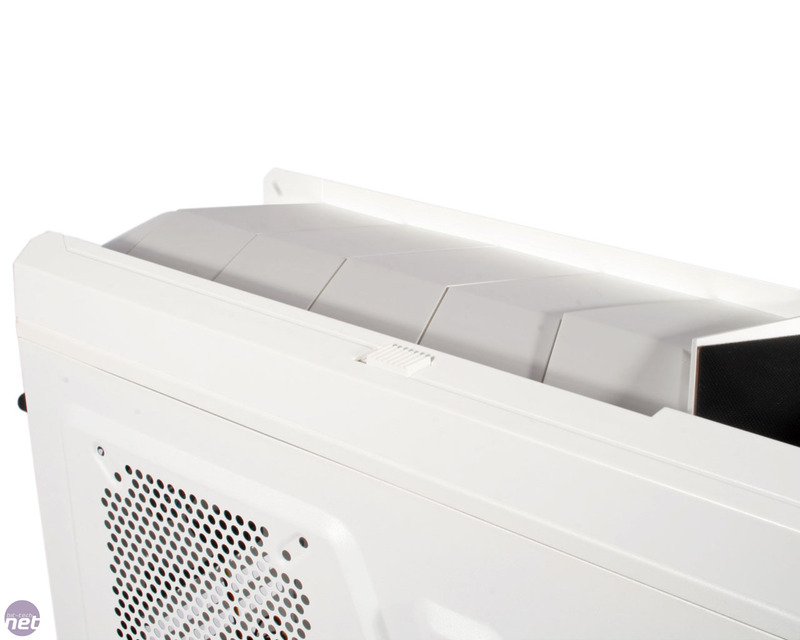 Sadly though, other than the front fans, none of the mounts are covered by dust filters, which leaves plenty of holes through which dust can invade. That said, the slide out PSU dust filter is a welcome addition.